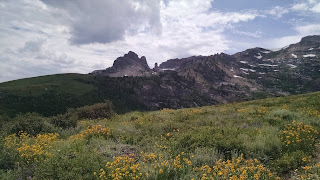 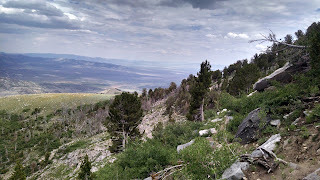 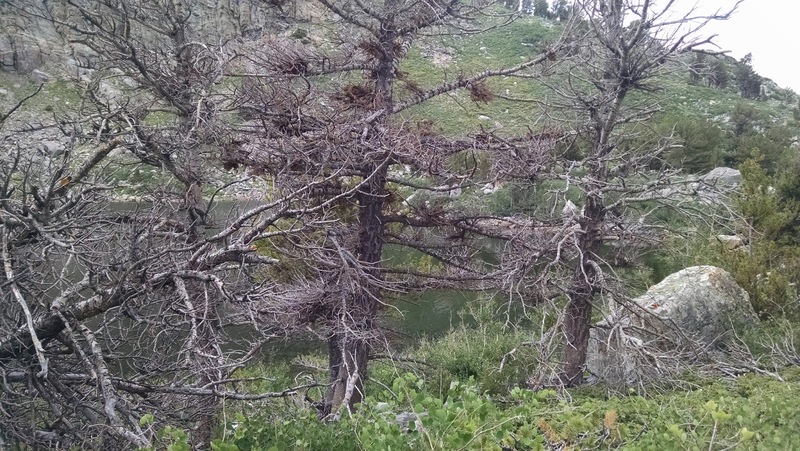 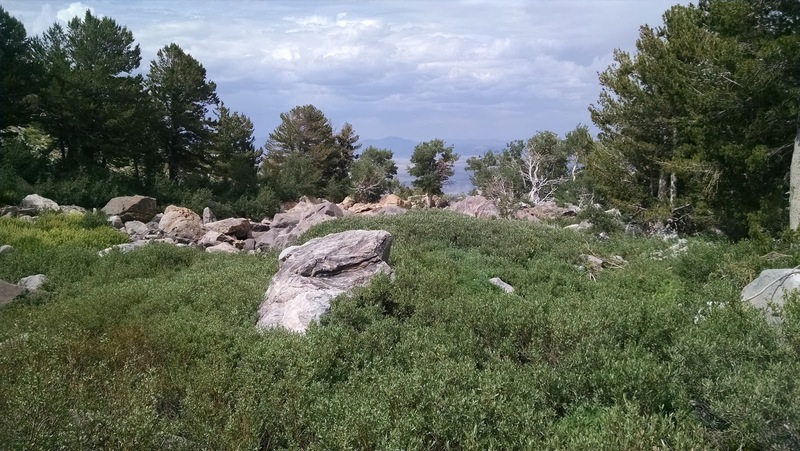 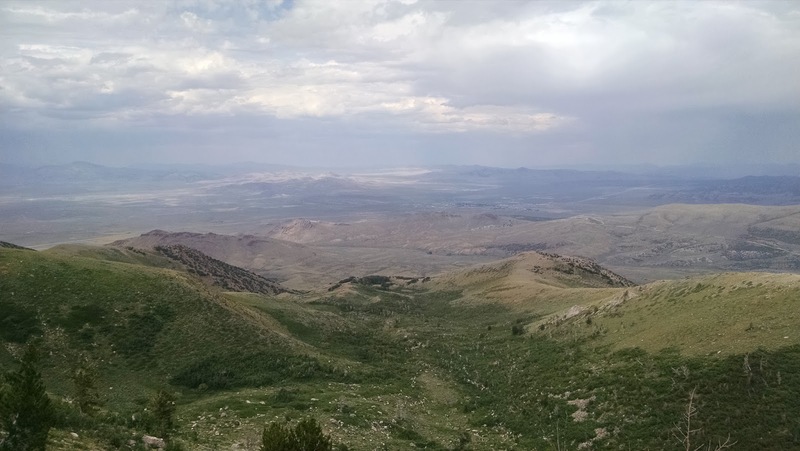 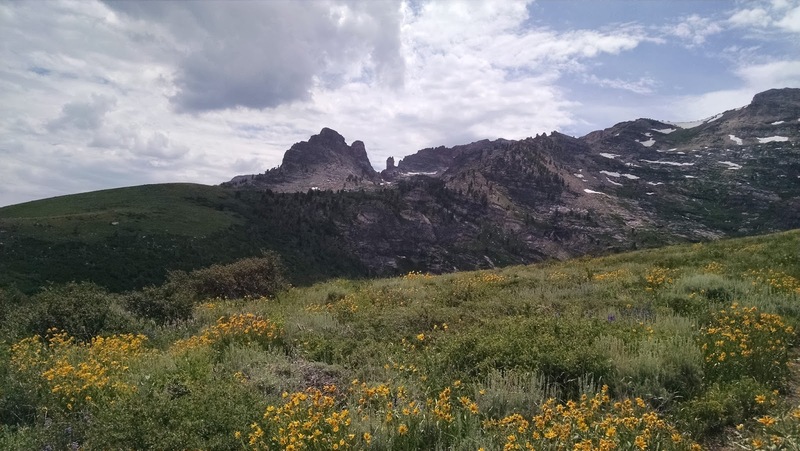 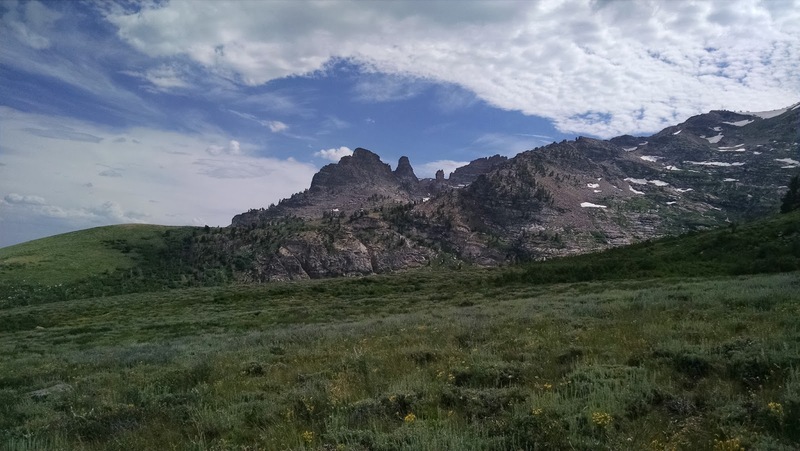 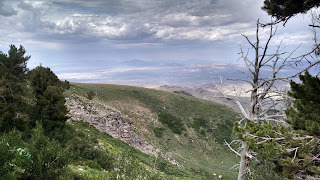 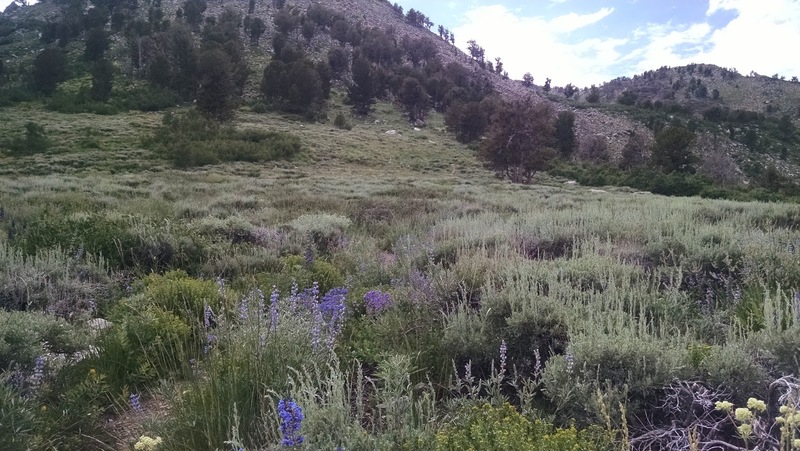 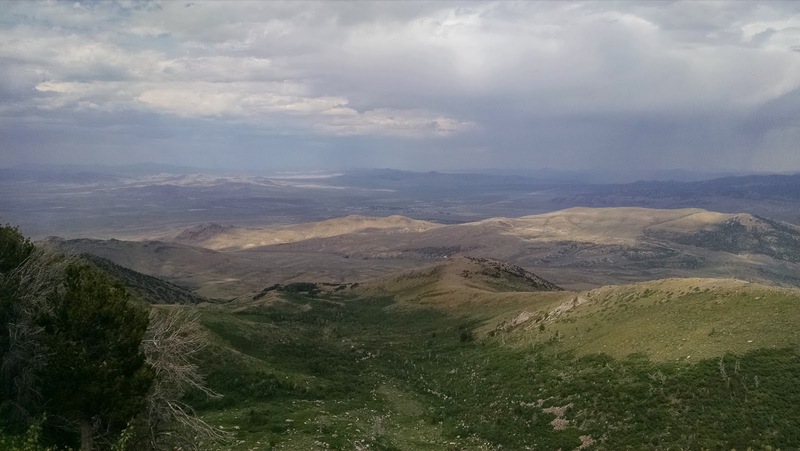 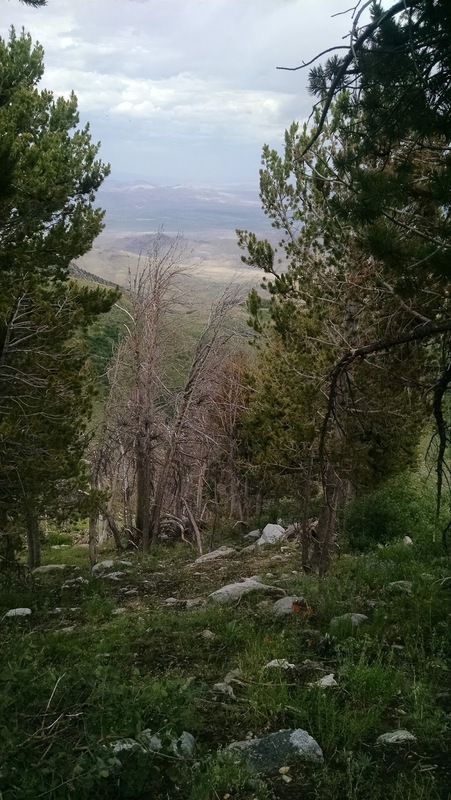 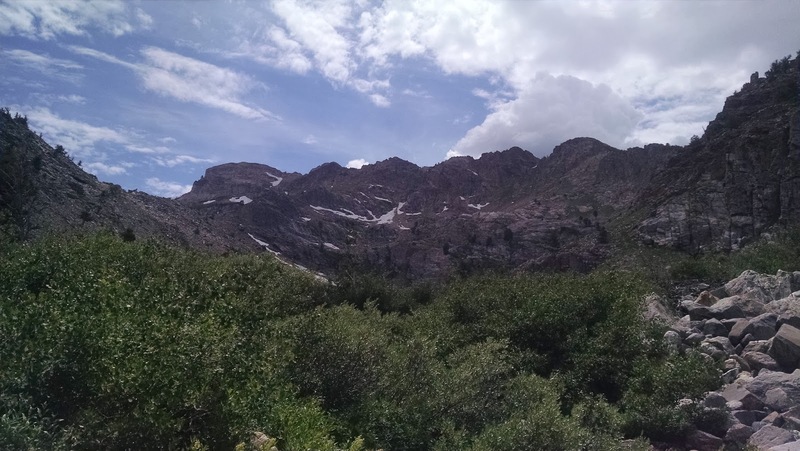 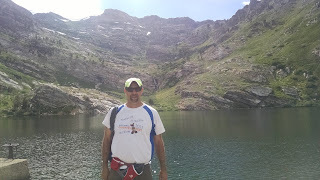 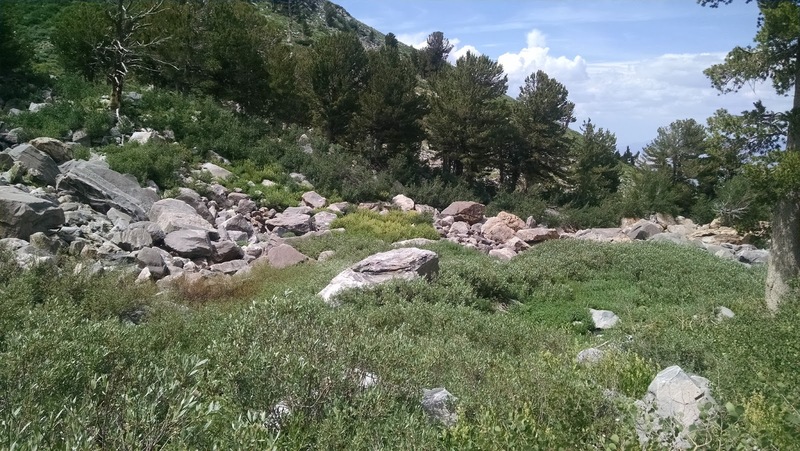 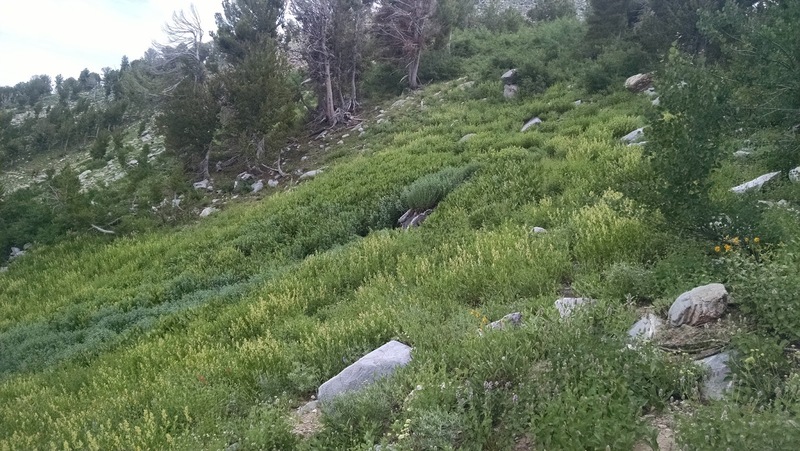 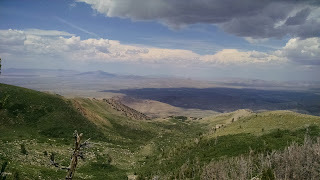 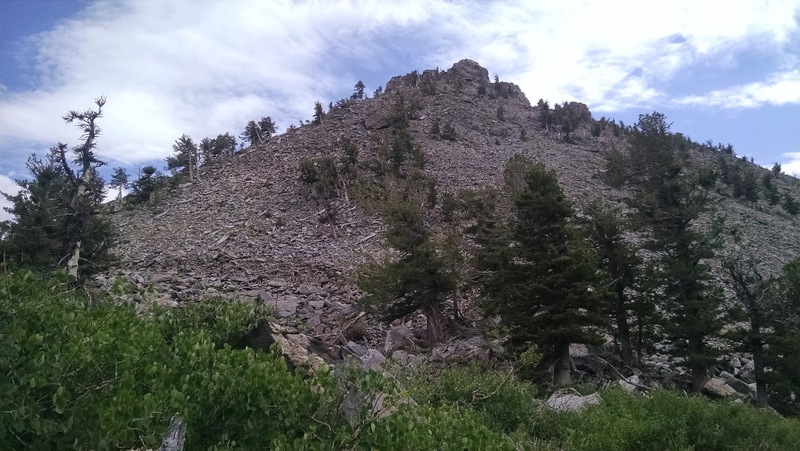 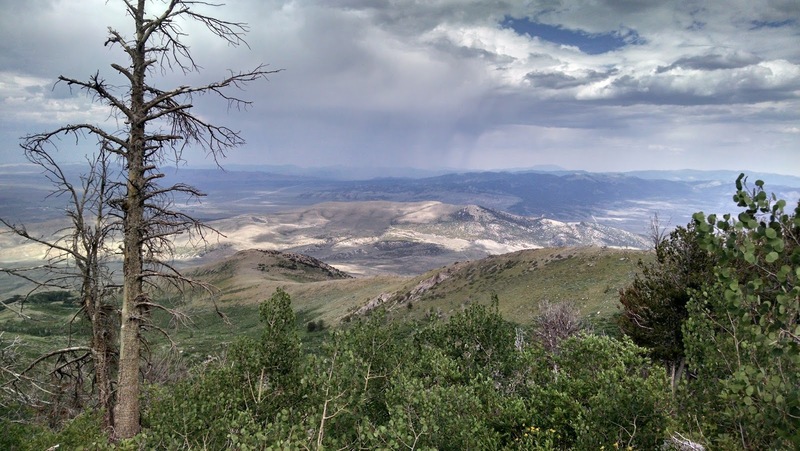 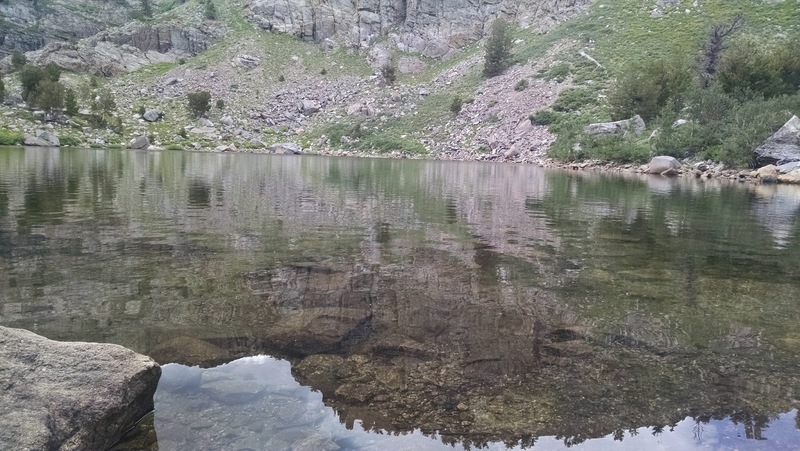 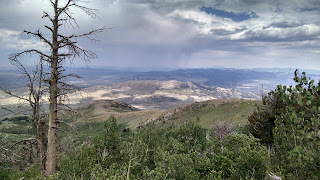 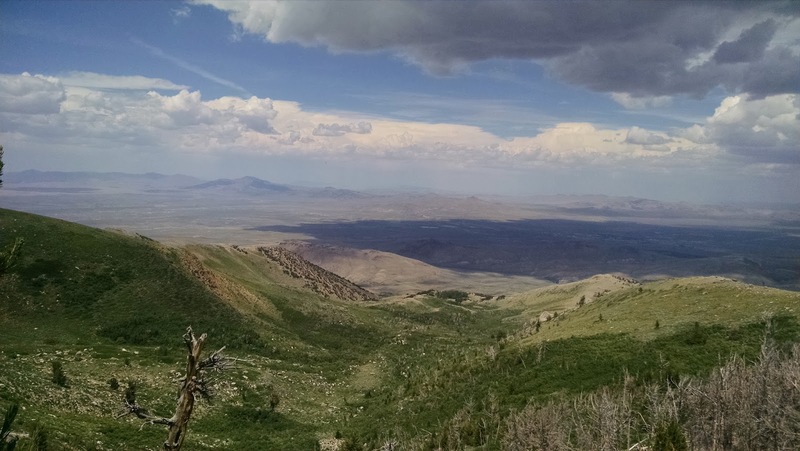 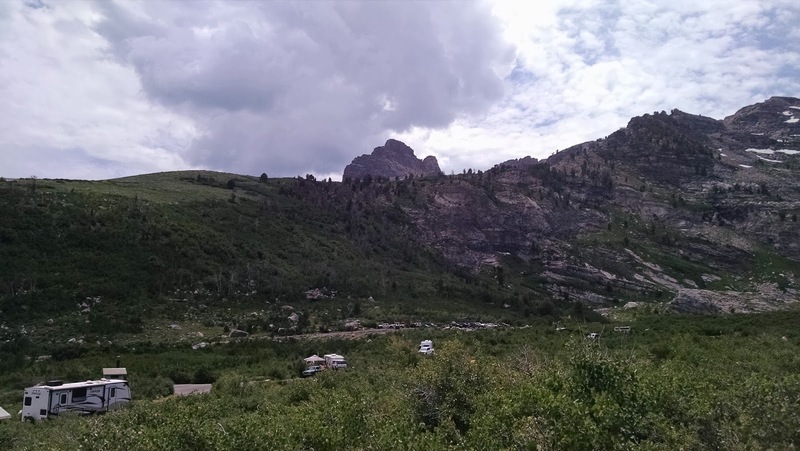 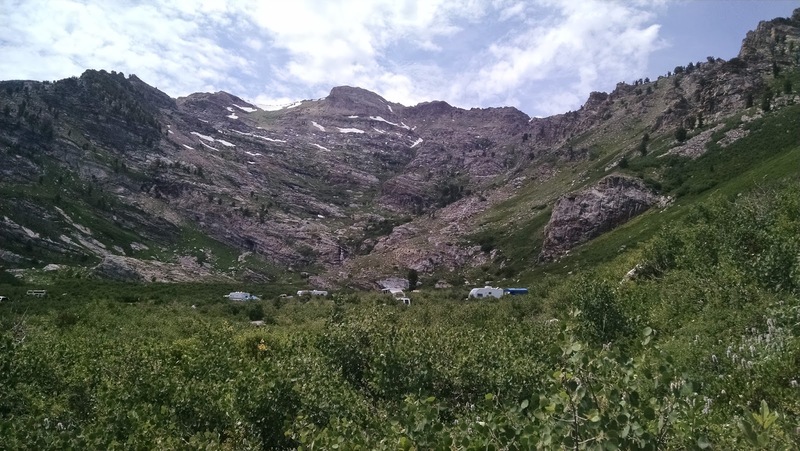 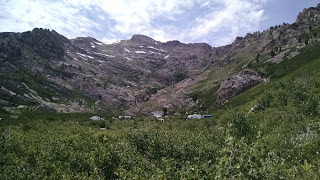 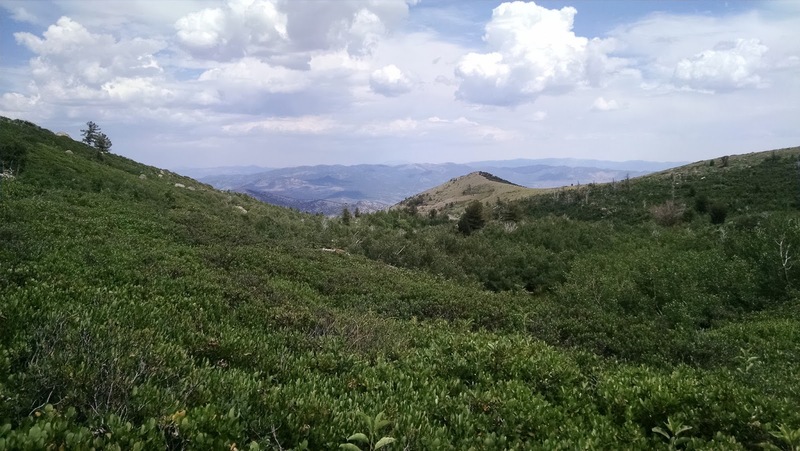 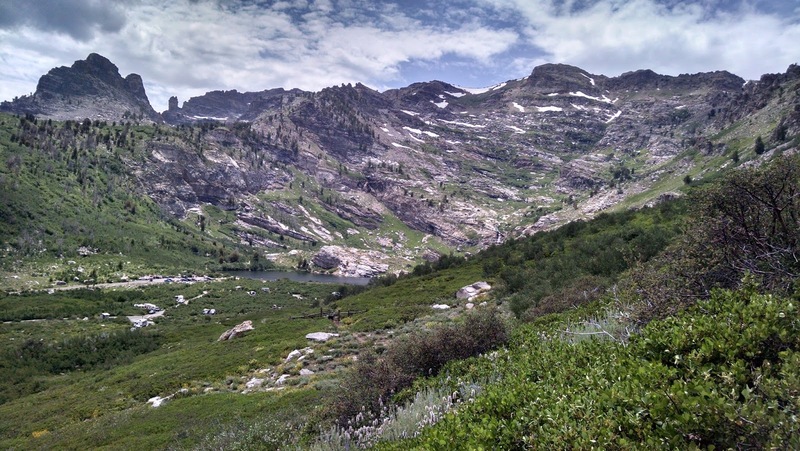 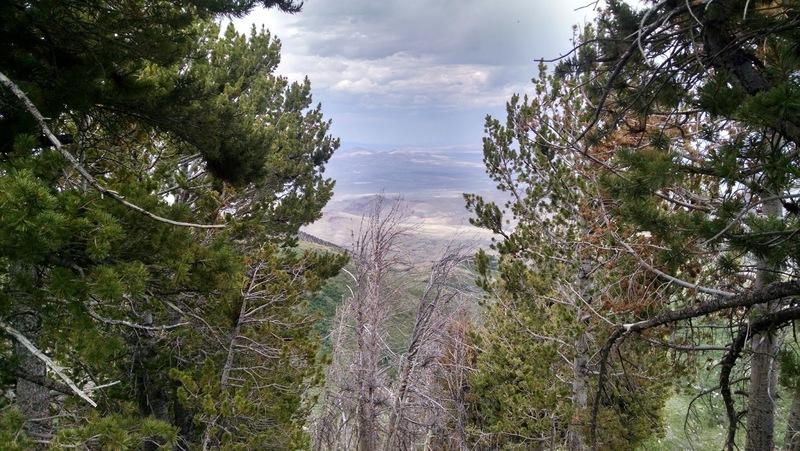 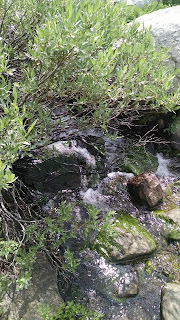 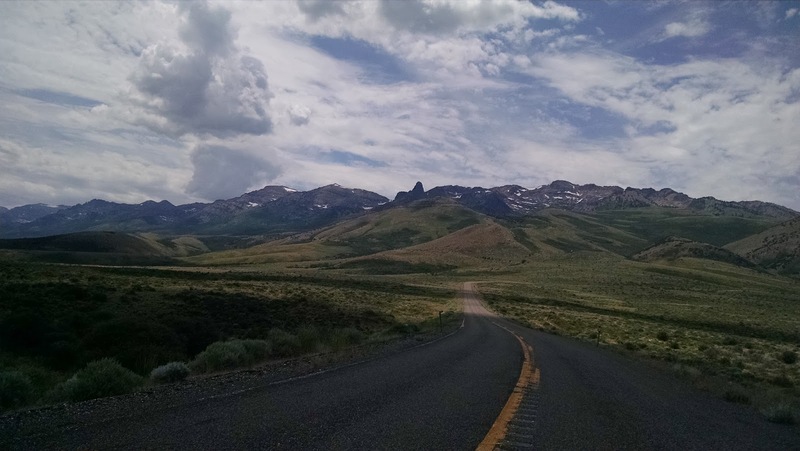 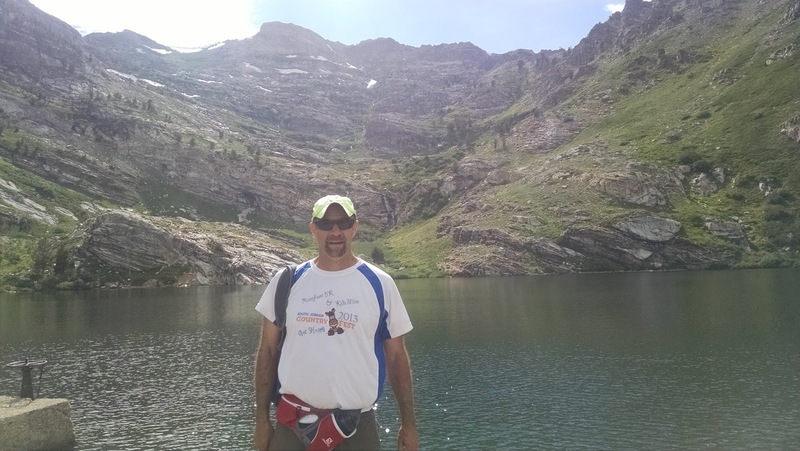 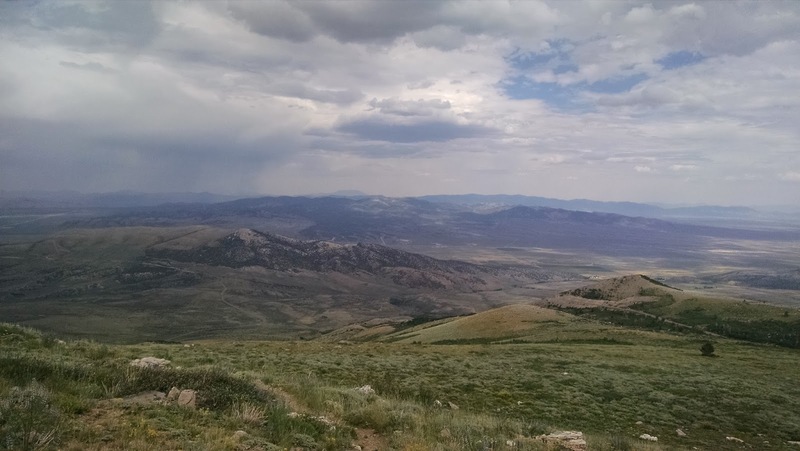 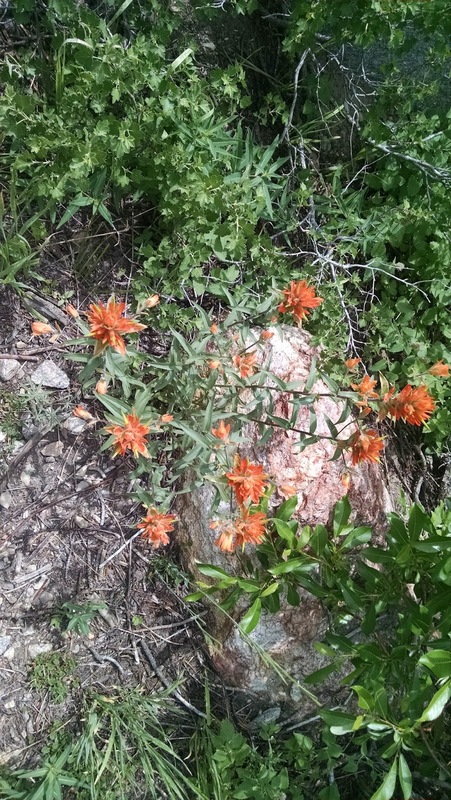 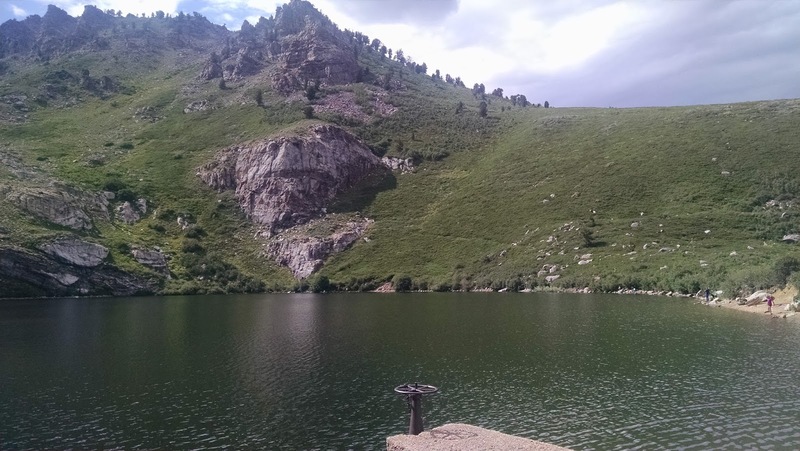 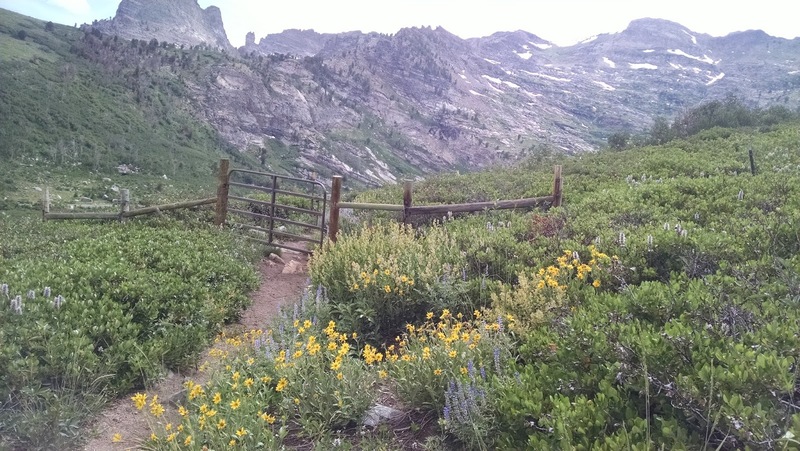 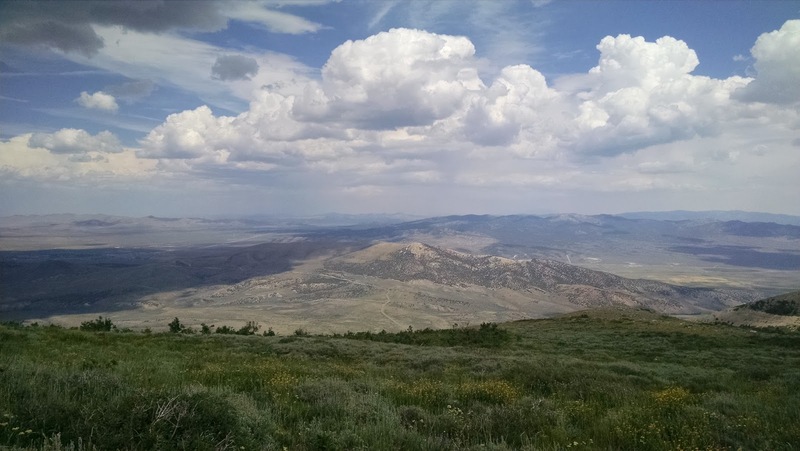 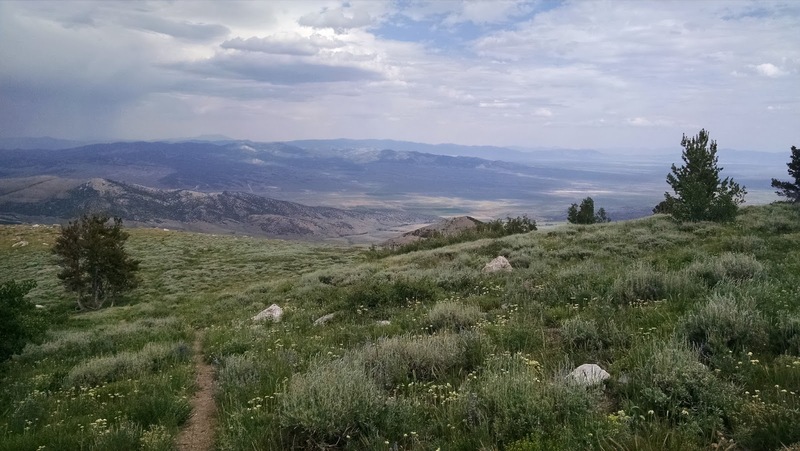 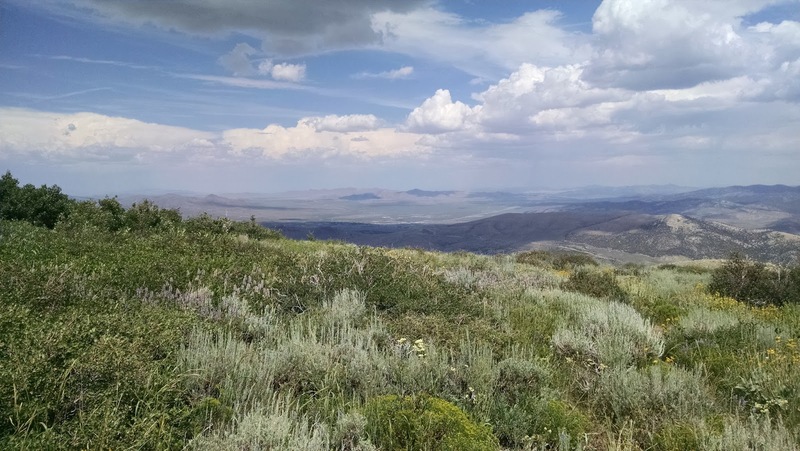 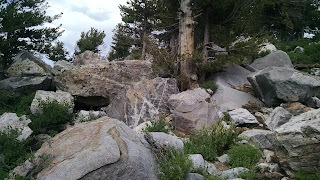 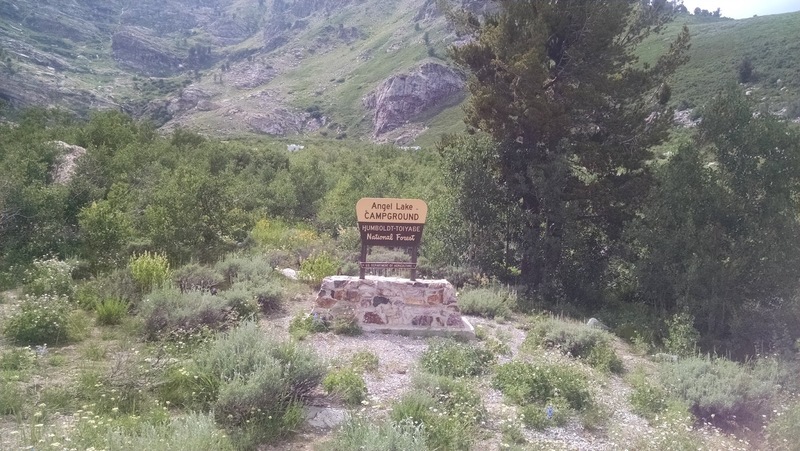 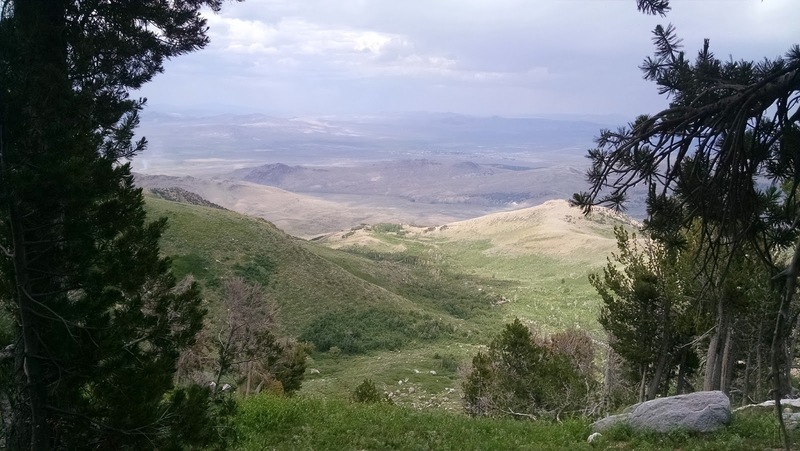 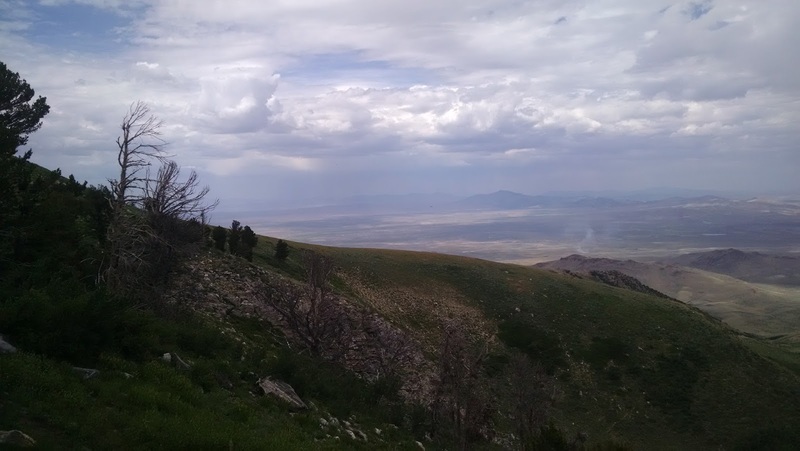 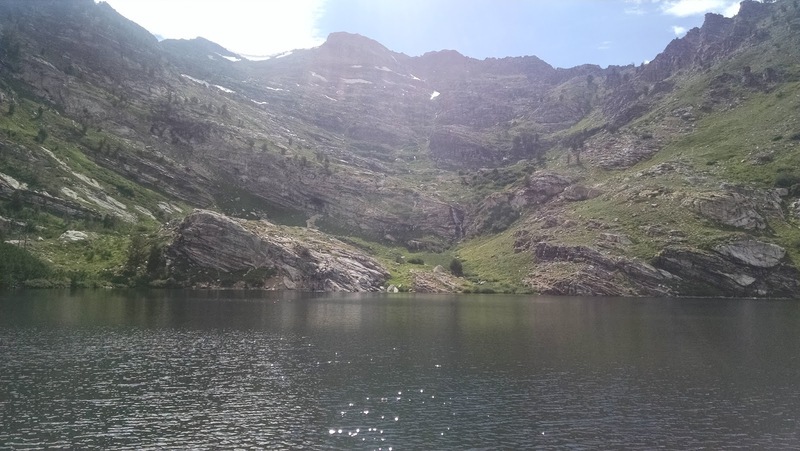 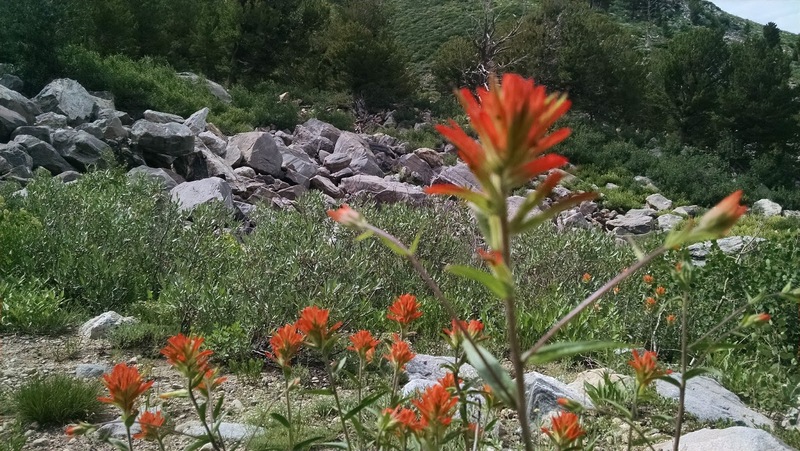 Ever since I ran the Race to the Angel Half Marathon (race recap here) I've wanted to explore the rest of Angel Lake -- about 13 miles south of Wells, Nevada and situated at about 8375 feet above sea level. 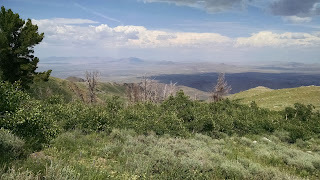 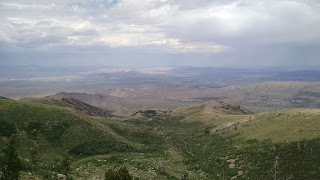 Being that I have a bunch of freebies for Elko Nevada, I decided that on my way I was going to stop in Wells, drive up the route I ran up (about 2700 feet of elevation gain) and take in the scenery. In addition, I discovered that there was another lake just behind Angel Lake called Smith Lake, which according to a website I found was nearly 5 mile hike. I am happy to report that this hike was far far less than that -- coming in at about 3 miles and I would rate it as mild to easy. 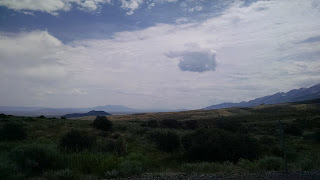 I rolled into Wells just around 12:30 Pacific time and got some super expensive gas (I think I chose the most expensive place to get it) and ate a Subway. 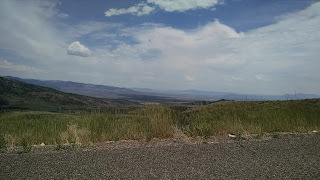 It was incredibly hot on the way out there and I think my A/C in my car isn't working that great so I was feeling really warm. 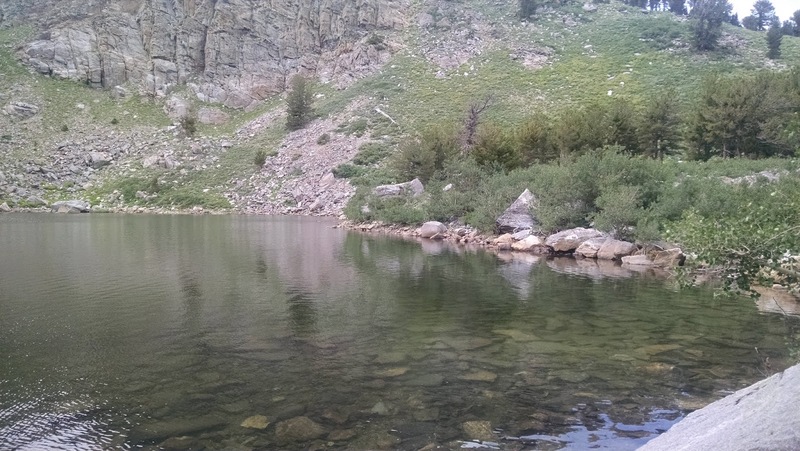 The temperatures were climbing into the mid nineties and I was really worried about what it was going to be like in Wells. By the time I reached Wells, though, the temperature was reading about 89 thanks to some elevation gains. 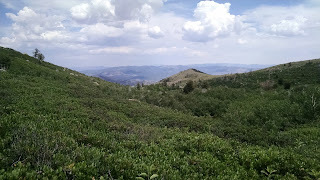 Luckily the higher I ascended up the southern Humboldt forest mountains towards the lake, the cooler it got. 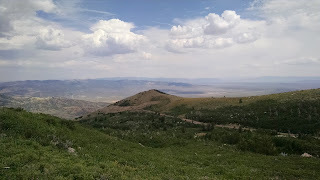 When I parked at the free hiking lot my car read 83. It was still warm but not blasting hot despite the intense sun. 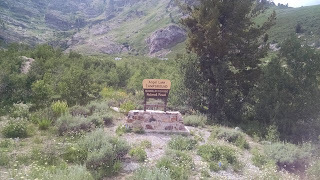 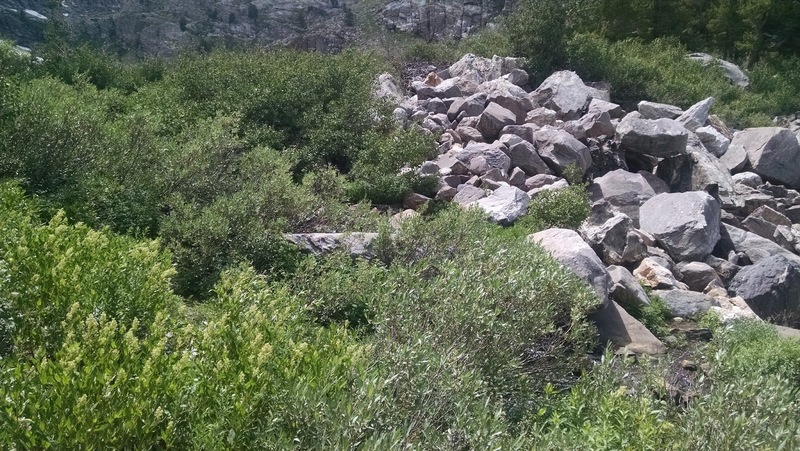 I grabbed some water and icy drinks that I had brought from Salt Lake and quickly jumped on the trail head. 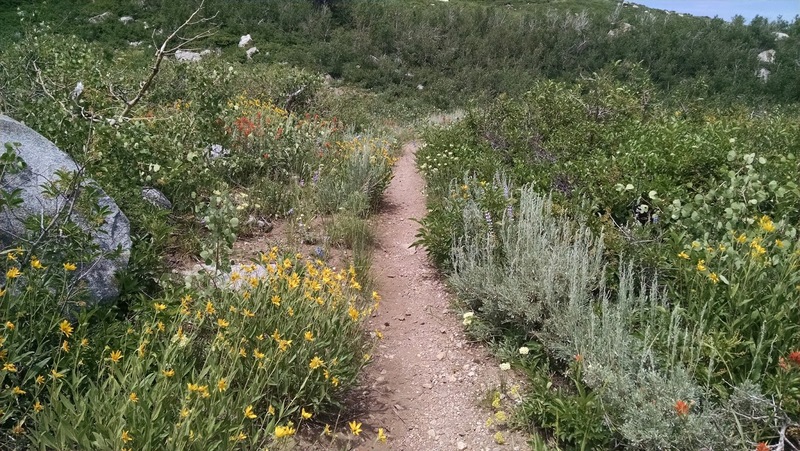 July 4th is a GREAT time to visit this trail. There were a TON of flowers... reds, oranges, yellows and tons of purples. 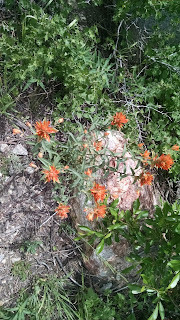 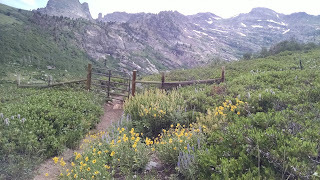 I was blown away with how many wildflowers there were. Just awesome. 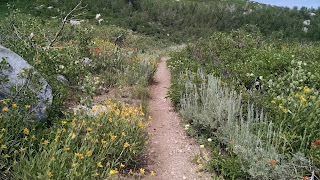 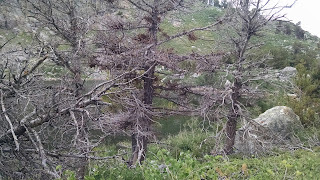 The hike was single-track trail that was easy to navigate. 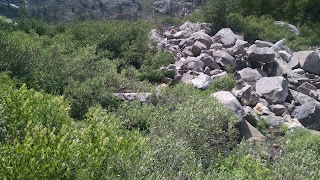 I did have to open and close a fence (for some odd reason) to access the trail which at first I thought was private property. Luckily another hiker coming down the trail said I was going the right way. Getting to the lake took about 40 minutes. I got some beautiful panoramic views of the Wells Valley along the way. The climb was gradual and I was definitely working up a sweat. 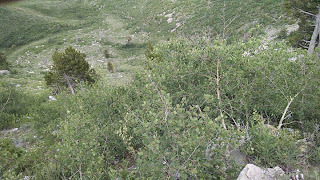 I was worried a bit about snakes since there was a lot of low shrubbery, but I didn't see any. The final push to Smith Lake was challenging but definitely not the worst climb I've done. 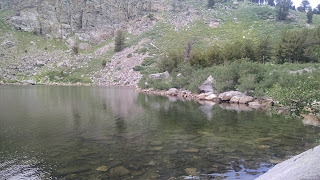 I basically cooled my feet in the lake (some people were fishing and swimming). 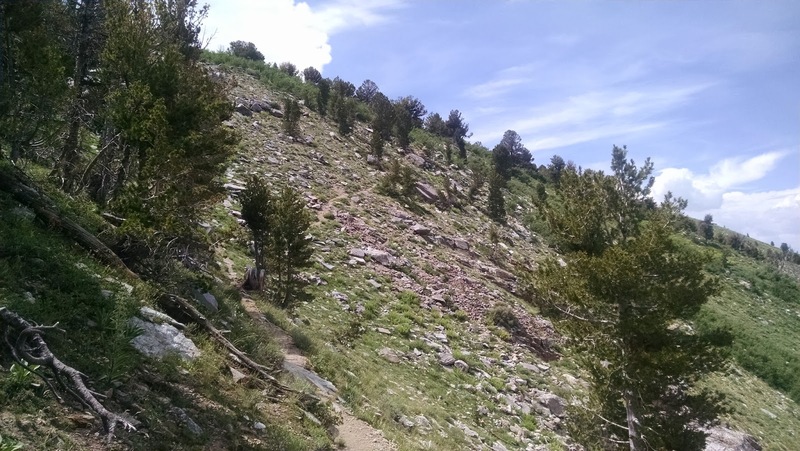 The trail abruptly ends up there so you basically have to scramble to see other things. I am glad I did because I got some incredible pictures of the western valley. 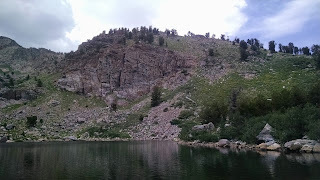 After soaking in the views for a good 30 - 40 minutes I made my way back down and paid my regards to Angel Lake -- where there were a ton of people swimming, fishing and jumping from a large rock outcropping into the lake below. 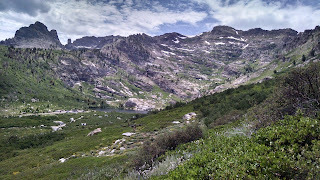 In short, this was one of the BEST hikes I've done in a long time. 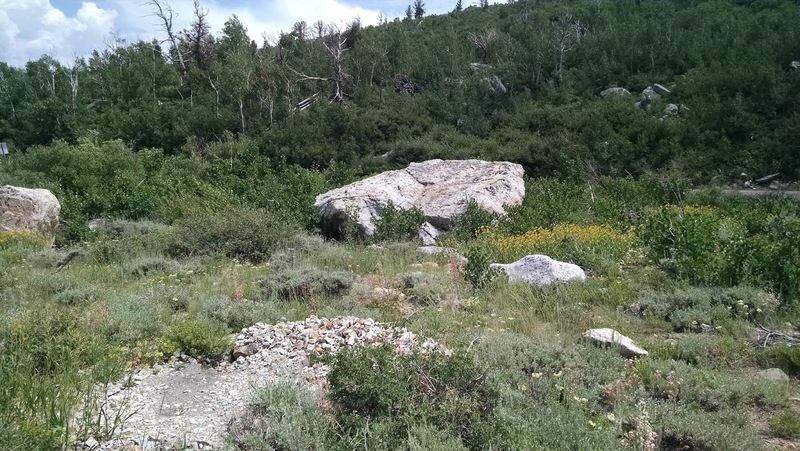 There are some huge payoffs here. 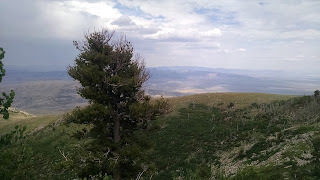 Cell phone reception was spotty but at times I had 4G access. 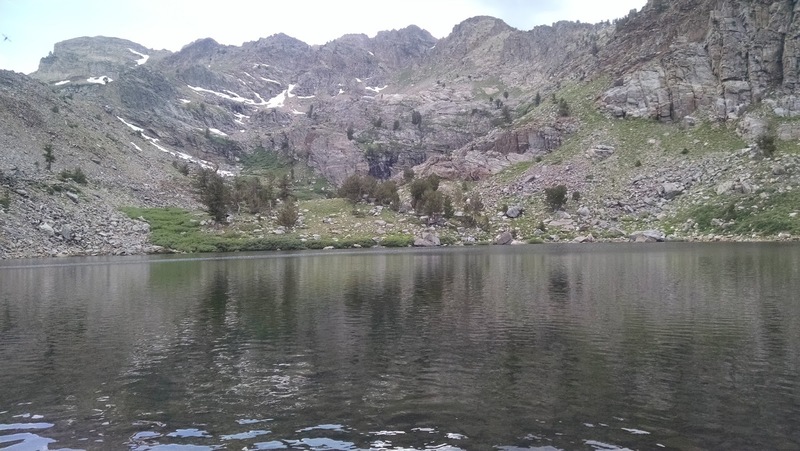 I also can't believe that I actually ran up to this lake from downtown Wells. To this day I still have fond (and not so fond memories) of that race. 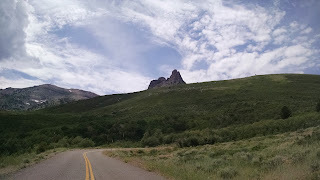 The drive up is pretty cool. I'll be hiking where the snow is. 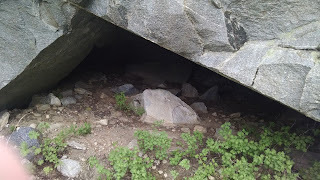 Shelter if I needed it. 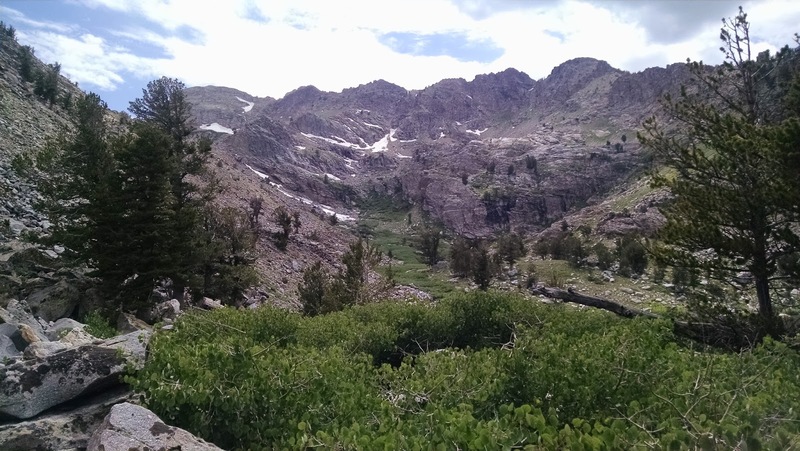 Tempting as it is probably to have the choice method over and accomplished with as quickly as viable, taking your time to analyze on the models accessible will be highly beneficial later to your search. it's far useful in which you aren't blindsided through any weak spot a brand or version may have because you have got seen them and compensated for them for that reason see this here.